Movement for Democratic Change official, Morgan Komichi who yesterday challenged his continued placement on remand will be back at the Harare Magistrates Court on 10 September when the state is expected to furnish him with a trial date. 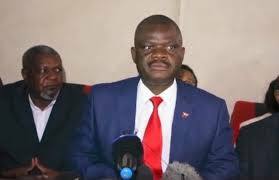 Komichi is accused of gate-crashing a Zimbabwe Electoral Commission (ZEC) press conference and discredited the presidential election results which were being announced. His lawyer, Obey Shava, withdrew the notice to challenge Komichi’s placement on remand, saying that the state had made amendments to the charges. According to the state, Komichi interrupted the electoral process after he told local and international media that he had not appended his signature, on behalf of the main opposition alliance, to the July 30 presidential election results.